A NEW coffee kiosk is set to open on Bognor Regis seafront this summer. Coffee Cup wants to bring its recipe for success to the town subject to planning permission. The family-run business plans to repeat the success of its four other outlets by offering hot and cold drinks and high-quality fresh food and snacks. It will open every day of the year, except for Christmas Day, if its outlet is approved. This 52-week trading is being viewed as a trial by Arun District Council to see if the potential exists for expanding the attractions of the seafront beyond the traditional tourist season. Debbie Parsons, one of Coffee Cup’s owners, said: “We are delighted to be looking at opening a new Coffee Cup outlet in Bognor. “We pride ourselves on offering a fantastic service, alongside an extremely high quality product, in clean, well presented surroundings. Coffee Cup’s outlet is planned to be located on the site of a previous business on the promenade between Albert Road and Walton Avenue. Formal plans will be submitted soon for a decision from Arun District Council. It is hoped the kiosk will be open for the summer. Coffee Cup began on Eastney Esplanade in Portsmouth in 2007 and has expanded to have sites at Clarence Pier and Guildhall Square – both also in Portsmouth – as well as Portchester village centre. The company was the first to win permission to trade from a mobile kiosk in Guildhall Square ahead of nine competitors. Bognor will be its first venture outside Hampshire. The firm was chosen by Arun to become one of its seafront concessions. 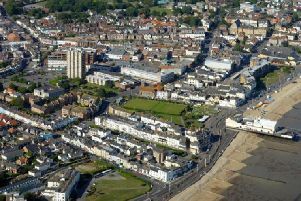 Cllr Dudley Wensley, the council’s deputy leader, said: “If planning permission is granted, we will be delighted to welcome Coffee Cup to Bognor. “The Bognor seafront strategy clearly sets out the need for the promenade to have an all-year-round catering service and for that service to be high quality – and Coffee Cup certainly fits the bill. “We plan to trial their year-round opening for a year initially and review its success towards the end of the trial. The Observer last week reported a call from existing seafront concession holder Alan McTernan for more investment on the promenade to attract visitors. His comments came amid a warning deckchairs could vanish because of declining demand.